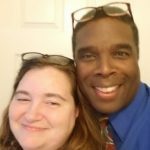 My Wife and I are returning to Real Estate Investing after moving from Cold Ohio to Warm North Carolina. We are currently making offers and Wholesaling properties. Our long term goals are to build a portfolio of Rentals and Commercial properties.